“What can you buy, that lifts a heavy heart up to the sky?” This question, the opening words of New Order’s Music Complete , is meant to be rhetorical. 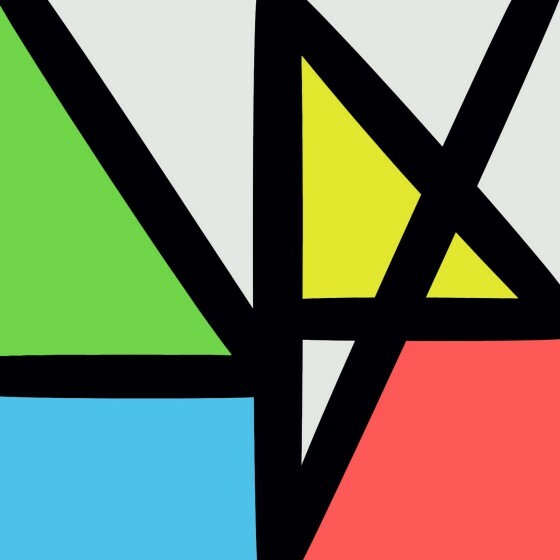 But there’s a straightforward and rather obvious answer: you can buy Music Complete  itself, one of New Order’s most joyous and compelling creations. The first New Order release, Movement  (1981), was transitional: it sounded a lot like Joy Division. But their next singles and second album, Power, Corruption and Lies  (1982) inaugurated a new era of keyboard heavy dance music. Clearly influenced by eurodisco and techno, New Order’s sound combines Peter Hook’s big melodic bass lines, beautiful and complex melodies and rhythms, tasteful keyboards, and Bernard Sumner’s increasingly expressive singing. To my ears, it is the most idealistic, inventive, and tuneful English pop since the Beatles. The 1980s were the heyday of New Order. The band went from strength to strength with a swarm of singles, remixes, albums, and compilations: Low-Life  (1985), Brotherhood  (1986), Substance  (1987, including “True Faith “), and Technique  (1989). In 1993, the band had something of a misstep with the tepid Republic  . Then they disbanded. It seemed that New Order was no more. Eight years later, however, the band returned with Get Ready  (1991), featuring a reinvented, somewhat grungy and guitar-edged sound. In 2005, they released Waiting for the Sirens’ Call  : the new sound perfected. In 2013, they released Lost Sirens  , a collection of outtakes from the Waiting for the Sirens’ Call sessions. Although this is rank heresy for ’80s purists, I consider 21st-century New Order to be their best work: emotionally mature, melodic, musically complex, and diabolically catchy. Music Complete belongs to this same stylistic period and is one of New Order’s finest achievements.